Today is 'World Mindfulness Day', so I am taking the opportunity to write about this important way of life. Leading an international digital recruitment business in a world full of data makes it extremely important that I am mindful and so can support our staff to live healthy lives and reach their full potential – our mission being to create futures. As a business leader, I accept the responsibility to cultivate a healthy working environment and to have compassion and understanding for the challenges that our staff face – in that respect I am a firm believer that a CEO should incorporate mindful ways of working or hire a team that has these qualities. We all spend many hours and years of our lives at work and we should all aim to embrace each minute to its full potential – be the best we can be and connect with our experiences. When you discover what mindfulness is, you realise that there are many techniques you might have been practising over the years to “be present”, but not associated them with the art of mindfulness. For those that are not so familiar with mindfulness, it is simply “being present” and connected to one’s own feelings, rather than the many thoughts that run through our mind throughout the day. It is the awareness of awareness or “metacognition". It is so important not just to me but to every human being as life can run by without ever fully embracing the moments you live in. 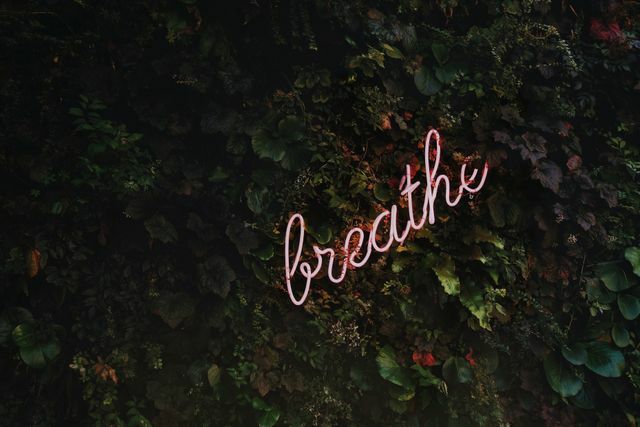 Mindfulness at work is about incorporating all that you do into a beautiful daily timetable, rather than seeing work as this painful chore in the middle of waking and sleeping. Start the day in peace: wake up and connect with how you feel, enjoy breakfast, a morning stroll and a shower where you are not against the clock, whilst leaving in plenty of time so that your journey is less stressful. Try not checking your phone until you have left your home. Arriving at work should be a warm moment where you say good morning to colleagues with a smile – that sets the tone for the day. Enjoy team meetings to kick-off the day, whilst organising your diary so that key objectives are given sufficient time to be completed. I advise our staff to put breaks and lunch into their diaries and feel the sense of achievement when they reach these moments, embracing them for what they are – a break! A break is an opportunity to reconnect with our own feelings, whether through walking, the gym, a cup of tea or some food – plus a few deep breaths is far healthier than a cigarette and will calm in the same way that a cigarette addiction will (please try this, smokers, you’ll feel so much better!). I do not encourage late working if this impedes rest, recuperation and family time, but also embrace the tenacity of those that want to get ahead and can healthily work and be fresh for the next day. All in all, mindfulness at work is about compassion for each other’s lives, the challenges we all face in our personal lives, and providing a healthy, supportive environment for individuals to thrive. In my next blog, I will share more insights about my personal journey and why mindfulness has become such an important factor in my professional and personal life.